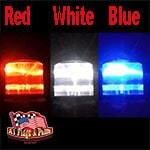 Use this 22′ Telescopic Flagpole to fly your favorite flags showing your patriotism and pride. This sturdy metallic grey telescopic flagpole comes with a shiny chrome ball at the top. 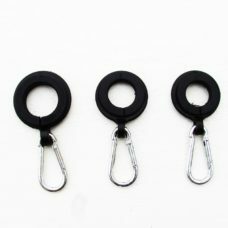 Flagpole also has 4 Rubber Rings with Caribiner Clips, 3 Anti-Pole Collapsing Pins and a storage bag. 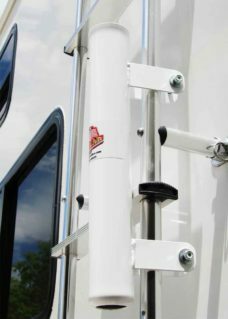 The flagpole retracts to 50″ for easy storing. This pole was designed to withstand strong winds. 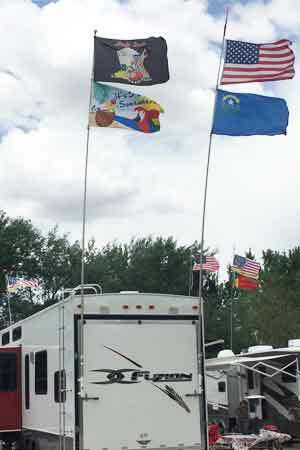 Our Telescopic Don’t be surprised to see this telescopic flagpole at tailgating events like Nascar races, Glamis sand dunes, off road racing, football, baseball and camping. Make some statements “Let It Fly” with one or two of our Telescopic Flagpole at your next event. Telescopic Flagpole are mainly use for portable use. 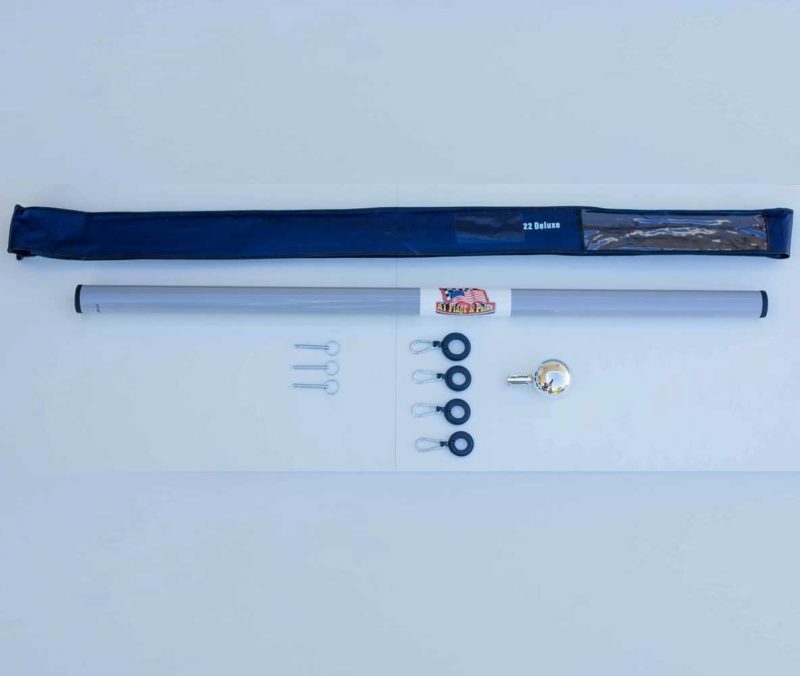 The 22′ Telescopic Flagpole holds two 3′ X 5′ flags or 0ne 4′ X 6′ flag and great for tailgating. The Flagpole setup is quick and easy. The telescoping flagpole has 7 sections with 4 friction fit (twist and pull) sections and the additional 3 sections are held in place with 3 anti-pole collapsing pins. Also included with the flagpole are 4 rubber rings with caribiner clips and a chrome plastic ball for the top of the pole. The flagpole comes with an awesome blue vinyl storage bag. 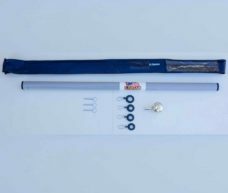 We have a great selection of flagpole mounts to go with the telescoping flagpole; additionally we carry numerous awesome flags for the flagpole. 37 reviews for "Telescopic Flagpole"
Great product. We’re looking forward to using it at Jazz Fest for the first time. Could NOT wait to get it up! 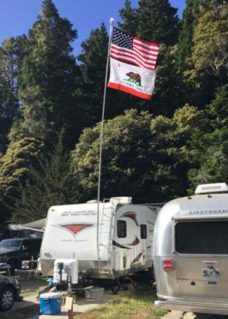 I installed my new mount to my RV ,installed the New US flag you sent me (NO CHARGE !) THANK YOU !! And Raise the Pole with my New R.W.B. Becon & WOW !!! AWESOME. Yes the pole was the 22 ft. … & Ilive on a corner lot where all the people walk by. I’ve had people ask ,Where did you get that ? The rest is History! Had it up for 5 days & nights with the beacon. Waiting now to go RVing to many New areas this 2019 year ! THANKS A1 Flags and Poles. It’s really tall, kinda of excited!!!! Great flagpole. Easy to mount and put up and take down. We used it for the first time this weekend and have received many compliments. Easy to extend and super tough! Can’t beleive it works so good. 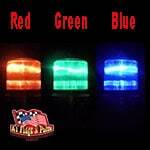 I will be ordering from this company again! A1 Flags & Poles are awesome. 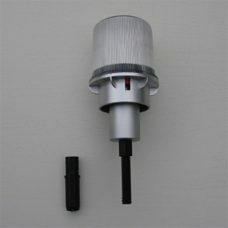 Great customer service and their products are wonderful. I would highly recommend their products to everyone. Ordering was quick and easy. Went to the Outerbanks for Memorial Day Weekend and put my A1 Flags & Poles on display ! Super easy to use and held up great in the wind. Had so many people come up and ask about it !!! Great Product !!! It goes up super high for all to see and you can run dual flags! 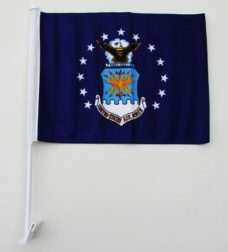 Unbelievable fast shipping, and my wife and I love our flag pole. It’s the talk of the camp..we bought the beacon for the top of the pole, and can see camp for miles when in the desert.. great product. The purchase of this RV flag pole was a pleasure. The product is excellent and as advertised. I recommend if you need a pole for your RV this is the place to purchase it. 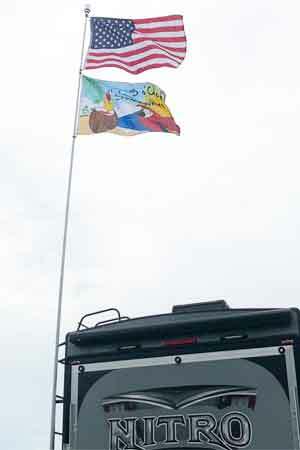 Purchased flag pole for our RV and we are well pleased. 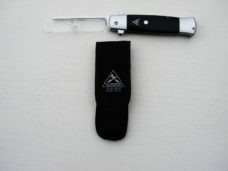 Because it is adjustable we can use it at any campground. I love the poles and the ease of setting up for my Denver Broncos games. I fly 36 flags and the 22′ poles make my flags pop and are easy to see from a good distance away. Easy to install, sturdy, and best of all looks great!! with all the products we have purchased from you. The ladder mount was quick and simple to install, and the flagpole fit perfectly. weather. Needless to say, we were quite impressed. I wish we had this years ago. By the way, it’s a great conversation piece too! We are hooked on your products and down home personal service. Hello fellow RVers. We have a fifth-wheel and own three (3) telescopic poles from A1 Flags/Poles. We have had these for well over 5 years now and extended them all laden with 2 flags each in some gruesome windy conditions. Talk about dependable, heavy duty poles that have continued to display their durable power to “Fly our fun flags”. Get your poles here at A1 – you won’t be sorry and will enjoy the display of flags without worrying about having to put them down during incremental weather. Enjoy!!! !